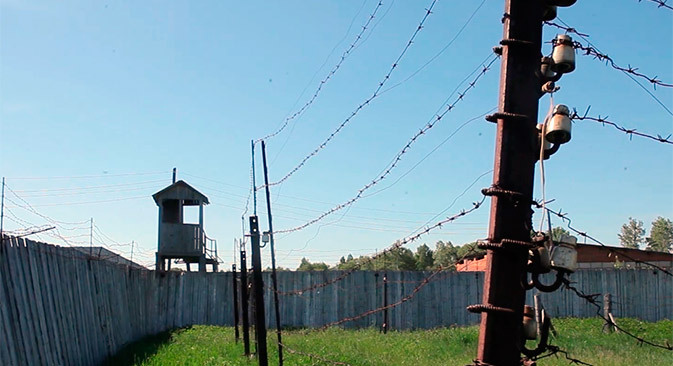 Perm 36 is the unofficial name of the Soviet high-security forced labor colony for those convicted of particularly dangerous crimes against the state, located in the settlement of Kuchino in the Chusovsky region of Perm Oblast, which is now a museum. The main contingent of inmates consisted of members of the so-called punitive expeditions, who served on the side of Nazi Germany during the Great Patriotic War. Perm 36 also housed "political" prisoners. The colony was closed down in 1988. In 1992, the decision was taken to turn it into a museum. Four years later, the "Perm 36" Museum of History of Political Repression welcomed its first visitors. As the only such museum in Russia, Perm 36 includes preserved and reconstructed facilities that existed at the camp (labor colony) for political prisoners, where dissidents, dissenters, human rights activists, opponents of the communist regime, champions of national independence for enslaved peoples, politicians, public figures, writers, scientists — anyone whose ideas and efforts undermined the misanthropic regime — were held in wretched conditions, suffered, and died. Some of the high-security camp buildings are still standing, including one of the four barracks built in 1946, an isolation ward, medical unit, bath-house with laundry facilities, the internal camp headquarters, a water tower and toilet — all in the residential zone where the prisoners actually lived. Even an alley and a grove (planted by prisoners during the GULAG reform period in 1948) have been preserved. The industrial zone — the production area where prisoners worked — still houses a smithery, sawmill, stokehold, control tower, diesel power plant, toilet, and watch cabin (a checkpoint from the residential area to the industrial zone), as well as other workshops, units, and administrative buildings. Most of the buildings, both residential and industrial, date back to the era of the Stalinist GULAG. In 2004, the World Monuments Fund included Perm 36 in its Watch List of 100 Most Endangered Sites. The procedure is underway to grant the museum the status of UNESCO World Heritage Site.